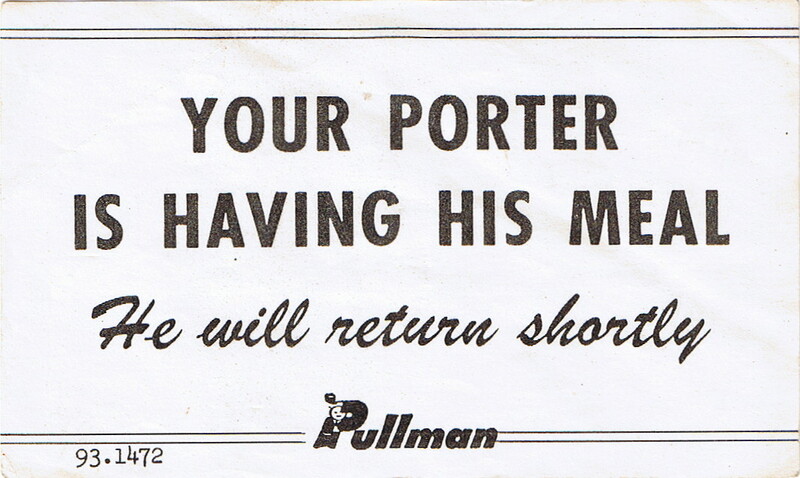 Description A sign used by a Pullman Porter to advise his passengers that he is off the car having his meal. This example is printed on white paper. 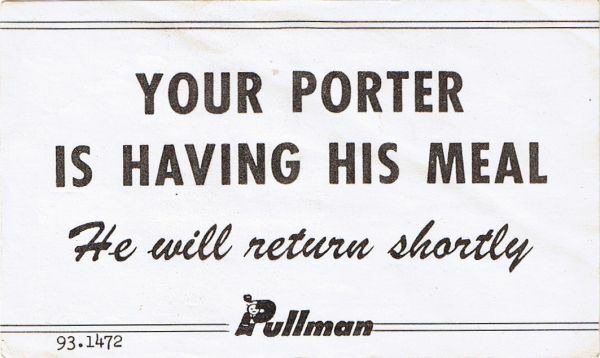 Has the Pullman logo with the conductor tipping his hat so it is post 1957.